After being announced as the new National Teams Director for Argentina, Cesar Luis Menotti had a hopeful message for all the fans. Fantastic news came from Argentina last Tuesday, as the Argentina Football Association decided to make official Cesar Luis Menotti’s appointment as the new National Teams’ Director for the country’s football squads on all its levels. Chairman Claudio ‘Chiqui’ Tapia’s intention was to actually appoint Menotti as the manager for the major squad, but the legend convinced him that he wasn’t up for such a stressful challenge although he did agree on this position. Cesar has always been very vocal about what the Argentina National Team needs, he is praised as one of the wisest people in football and all the input he can give to the National Team can be positive for the upcoming years. The position will give Menotti full powers over all national teams, but his main focus will obviously be on the major squad and one of his first assignments will be to convince Lionel Messi that he can still play for a few more years at a high level for Argentina. The Director has always been one of Leo’s greatest supporters, he understands that not having him on the ranks will cripple the squad’s chances to win more titles. Menotti has been working non-stop to create his own cabinet of people who will accompany him on the job, a team of well-trained and experienced professionals from all corners of Argentine football who will have the goal of expanding Argentina’s successful history in the upcoming decade. Menotti has decided to leave Lionel Scaloni in the job as the National Team manager for now, keeping the position will solely depend on results and Cesar Luis will step up if things don’t work out the way he is planning. As a fellow Argentine who has a place where he can communicate with the whole world from Europe, Menotti decided to pen a letter to all the Argentina fans who expect so much from his wisdom. He has been writing a column for Diario Sport for months, this time the topic was fairly obvious and he sent a hopeful message to all his compatriots. 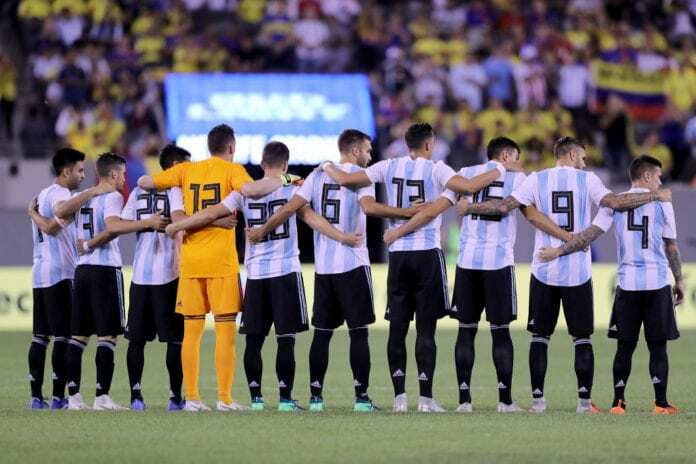 The objective is clear, as Menotti has always tried to defend that Argentina’s genetics are closely related to success and this hunger to win has been lost for some time now. The man does look pretty eager to start his job, he wants to test many of the theories that he’s been writing about for the last months. “We need to recover the genetics and the essence of Argentine football. I am thrilled because we need to start categorizing the national teams that represent us as a country,” wrote Cesar on Diario Sport. “We can’t play like Pep Guardiola’s Barcelona. But there is a gene that distinguishes and represents us, and I firmly believe that we haven’t lost it yet,” he concluded. What’s your take on Cesar Luis Menotti’s latest column about his new job in AFA? Please share your opinion in the comment section down below.